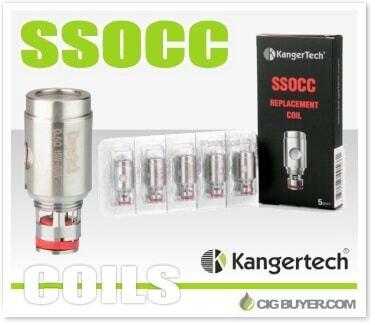 Compatible with all systems that utilize Kanger Subtank coils, Kanger’s SSOCC Replacement Coils have a smaller footprint than the originals and incorporate a stainless steel heating element (rather than kanthal), along with Japanese organic cotton. They maintain the same vertical coil design that made the first ones so great, but have the added benefits of stainless steel, including longer life and improved performance. They’re also designed to leak less and are available at various ohm ratings.